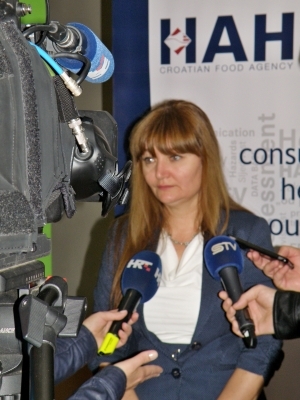 Croatian Food Agency (HAH) supported by the European Food Safety Authority (EFSA) and Food and Agriculture Organization of the United Nations (FAO), under the high auspices of the President of the Republic of Croatia, Kolinda Grabar Kitarović and under the patronage of the Ministry of Agriculture and Ministry of Health of the Republic of Croatia organized 2nd Croatian Food Safety Risk Assessment Conference. 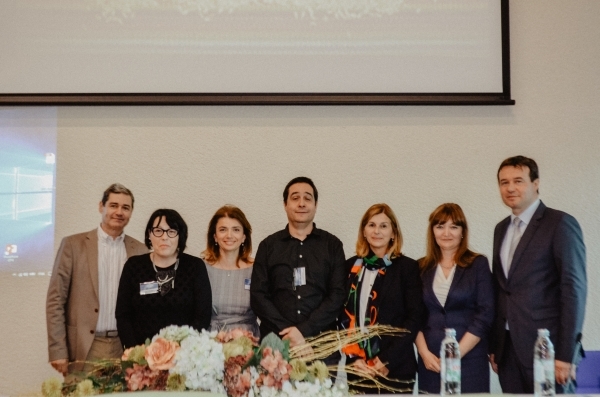 The conference was held on 16th and 17th October 2017 at the Faculty of Agriculture in Osijek. One section of the conference was dedicated to the celebration of World Food Day 2017, where this year‘s motto was– Change the future of migration. Invest in food security and rural development. In two days and 22 lectures, the eminent foreign and domestic lecturers presented the latest results in the field of risk assessment, nutrition habits, international co-operation and risk communication, and, within the first section, dedicated to the marking of the World Food Day, they pointed out the importance of complex migration issues. 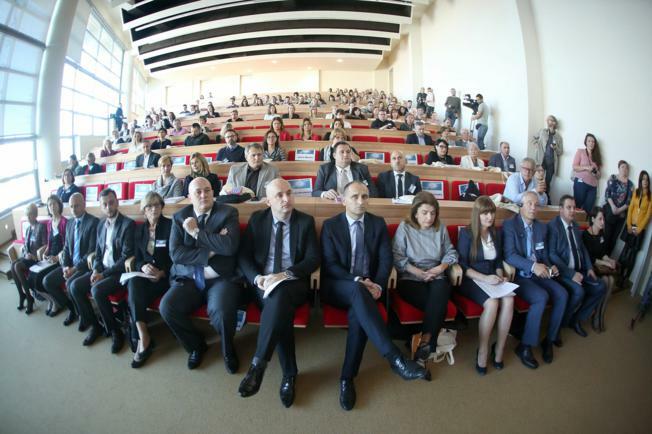 The conference was attended by around 200 people, representatives of competent bodies, industry, consumer organizations and the scientific community. 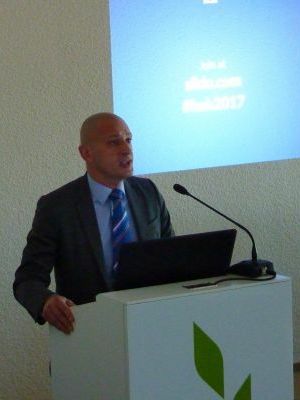 The conference was opened by the Minister of Agriculture, Tomislav Tolušić. 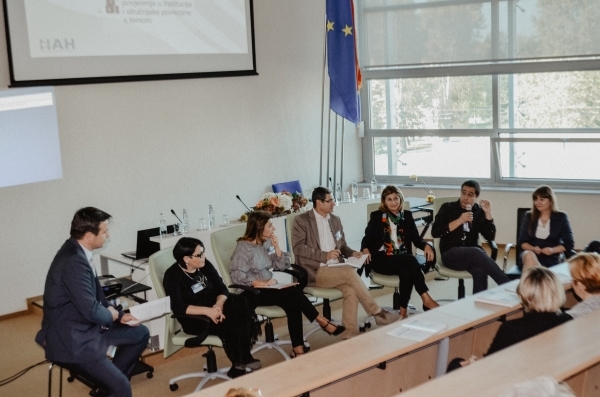 Beside the Minister, in the introductory part of the program, the guests were greeted by Assistant Minister of Health, Vera Katalinić-Janković, Ivan Anušić, County Prefect of the Osijek Baranja County, Deputy Mayor of the City of Osijek Boris Piližota and, as the host, Krunoslav Zmaić, Dean of the Faculty of Agriculture in Osijek. On behalf of the organizer, the guests were welcomed by HAH Director, Andrea Gross-Bošković and, on behalf of the institutions that supported this year’s conference, Stef Bronzwaer, Head of Advisory Forum & Scientific Cooperation Unit, European Food Safety Authority (EFSA), while the message of the FAO Director General José Graziano da Silva, was conveyed by Rural Development Consultant Katalin Ludvig. 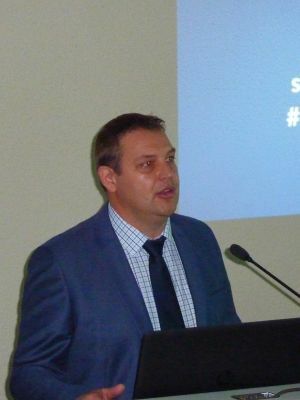 Minister of Agriculture, Tomislav Tolušić, emphasized the importance of the Croatian Food Agency, and the importance of the cooperation of all “field to fork” stakeholders. 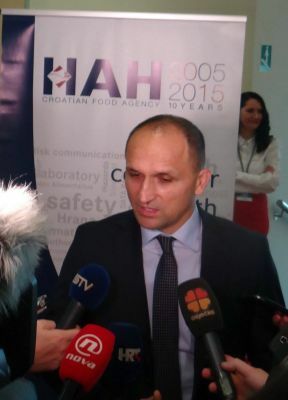 EFSA High Representative, Stef Bronzwaer, expressed strong support to Croatia and welcomed the efforts and progress of the Croatian Food Agency as an important risk assessment body in Croatia. After the introductory part, the first section of the conference followed. It was dedicated to the marking of the World Food Day, under the motto Change the future of migration. Invest in food security and rural development. 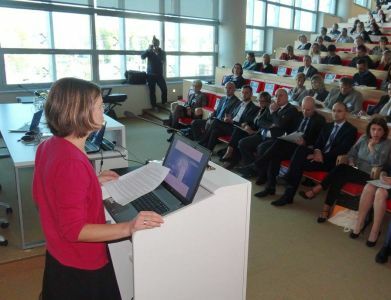 Within this section, five plenary lectures were held in which representatives of the academic community and competent bodies informed the audience about the migration issues- migration reasons, the impact of rural development measures on migration and the globalization of migration and their reflection on Croatia and the EU in general. After the marking of World Food Day, Round table, GM food: Risk analysis- nationally and globally, was held. Excellent moderator, Mislav Togonal, kept the debate very lively. 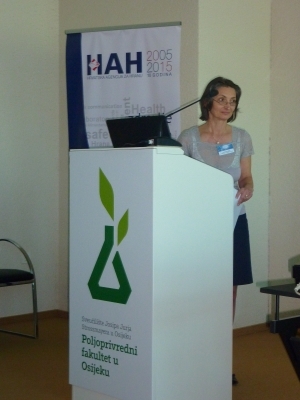 In the debate, beside HAH Director, Andrea Gross-Bošković, representatives of the relevant authorities took part- Jelena Đugum from the Ministry of Agriculture, Valentina Zoretić-Rubes from the Ministry of Health, representatives of the scientific community, Vladimir Mrša and Ivan-Krešimir Svetec from the Faculty of Food Technology and Biotechnology University of Zagreb and, as a consumer representative, Tanja Popović from the Croatian Consumer Protection Association. 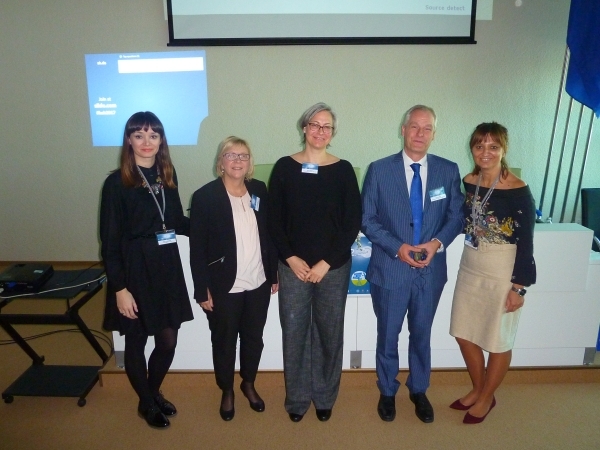 The second day began with the section on Risk Communication and International Cooperation, during which a clear insight into this area of work of important institutions such as EFSA and BfR was presented. 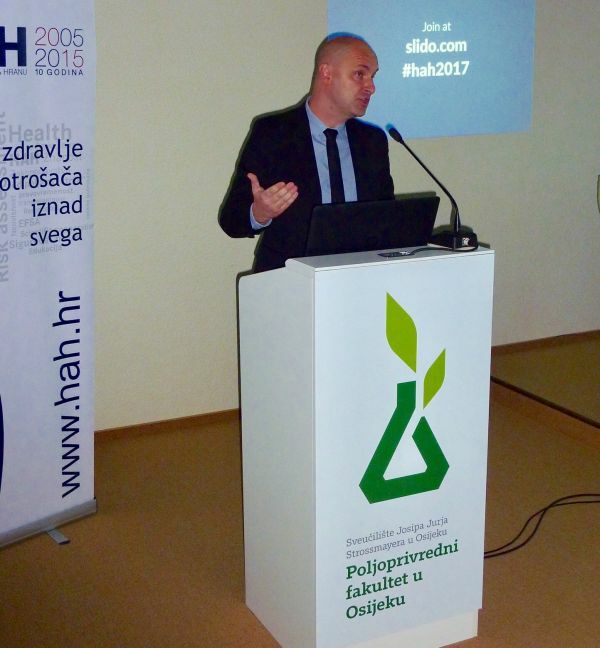 The representative of the Ministry of Agriculture pointed out the proactivity and significance of international cooperation, as well as the Croatian Presidency of the European Union in 2020. The section ended with an interesting presentation on Crisis communication. The Section Nutrition Science in Risk Assessment Service has begun by reviewing the current state of food allergies which increasingly grow, and therefore, special attention was devoted to the future challenges in this sensitive area. 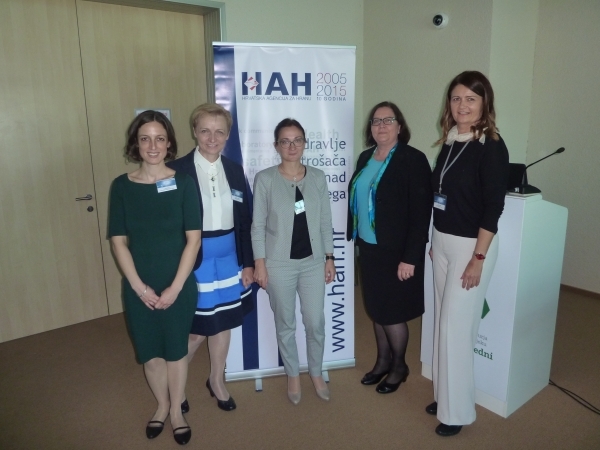 Since the high quality data on nutrition habits are an important precondition for quality risk assessment, an example of data collection on nutrition habits of Finnish residents was presented. 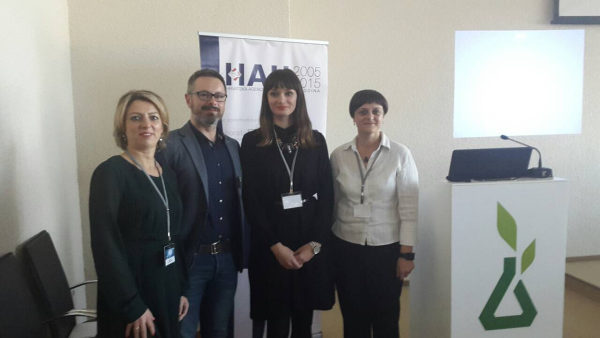 Another significant project, EU Menu – The first Croatian study of food consumption of infants and young children, was also presented. Beside the presentations devoted to trends in nutrition and nutrition behavior, a valuable EU Guide How to calculate nutrient content of food? 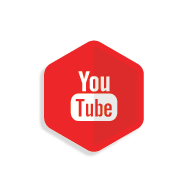 has also been presented. In the last section, the most recent examples from the practice of risk assessment were outlined. 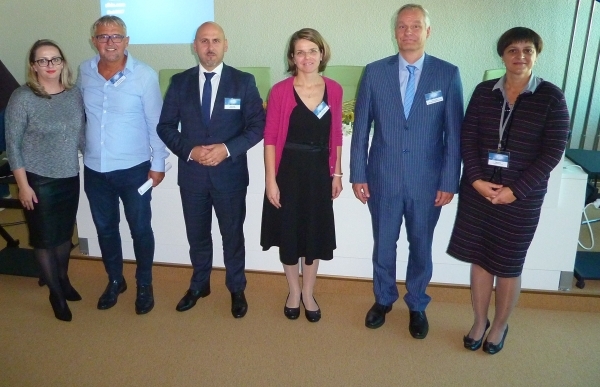 The presentations included issues of considerable interest both for assessors and risk managers in the Republic of Croatia and in the EU Member States. 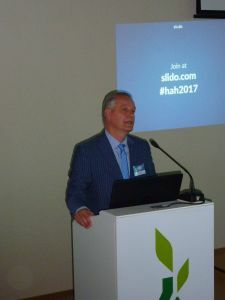 The presented examples included microbiological risk assessment (S. Infantis Risk Assessment in Broiler Meat; Molecular detection of Cryptosporidium hominis and Giardia duodenalis from Croatian commercial raised oysters (Ostrea edulis) and mussels (Mytilus galloprovincialis), chemical risk assessment (Exposure assessment of nitrates from food) and environmental risk assessment. 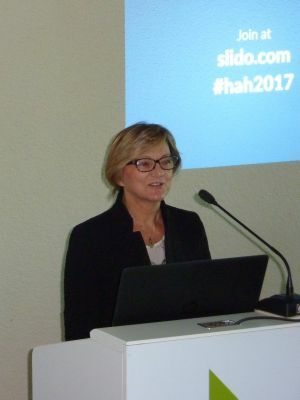 In conclusion, HAH Director Andrea Gross-Bošković expressed a great satisfaction regarding the conference, shown interest and stakeholder interaction level, and finally pointed out that risk assessment requires a multidisciplinary approach, which requires the involvement of a large number of different experts and believes that this conference is a confirmation of the recognition of that concept.